Balthali village tour is pretty popular tour around Kathmandu valley, which is located east of Kathmandu. It is one of the rich cultural and small but beautiful settlement village named Balthali village just outside Kopasi and Panauti town, 40km far from Kathmandu. The village is surrounding by thickly forested with plentiful floras, colorful blooming rhododendron and Sal trees cover the hill. The area offers you to observe the eye- catching vistas of panoramic Himalayan peaks in the north side and beautiful green terrace fields. The trip in the pretty pure village like this have a worth for knowing the village culture and a pleasant feeling and it is the best opportunity to promote village tourism in Nepal and world. After early evening a numerous of lambent lights under the valley of Balthali village comes alive. This is a quite better trip for birds’ watchers and nature lovers, where you can get chance to explore different kinds of birds and can discover the wildlife, culture and traditions untouched by modernism. This wilderness path has endless trails heading you to some ethnic societies thus, welcoming excellent mountain biking and short hiking on the easy trail. During the trip, we can see ancient temples and monasteries such as very popular Buddhist shrine of Namobuddha stupa, Brahmayani and Indreshwar temple are lies in this area and still needs to be discovered and uncover its mysterious past. There are numerous outstanding and easy short or long hiking from a day to five days inside Balthali village resort and its adjoining gives you sufficient opportunity and time to discover this attractive natural heaven. This village tour is quite famous and best tourist destination for those who are pretty seeing for short, easy and family trip with children. It offers great and spectacular Himalayan range of Mount Everest (8848m), Langtang and Manaslu in the north, the beautiful sunrise in the east, huge frames green and lush forest of Mahabharat range in the south and countless rice terraces field in the west. This tour is truly magical and a lifetime experience. We are looking forward to share lifetime village experience with you. Day 01Drive to Changu Narayan (1500m), and Nagarkot (2176m)Today, you will drive one hour to Changu Narayan temple from your hotel in the morning. 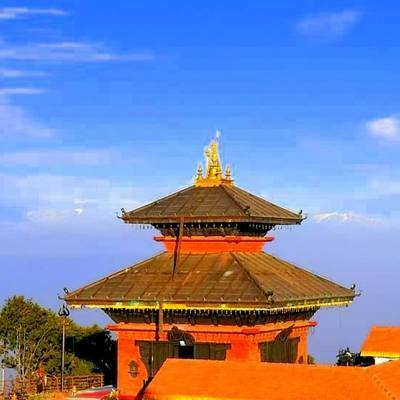 Which is located 20km east of Kathmandu valley is one old ancient temple of Nepal. The temple is listed in the world heritage site by The United Nations Educational, Scientific and Cultural Organization (UNESCO). The ancient, historical and awesome temple stands on a top at the eastern end of the valley. After sightseeing, we hike up to Nagarkot (2176m), hiking over the pine forest along the edge through the settlement beautiful village with marvelous sight of the valley and mountain. From there, you can get huge opportunity to see beautiful and awesome mountain sunset. Overnight at hotel. Day 02Nagarkot to Dhulikhel (1440m) Today, you will get ample opportunity to see the most popular panoramic views of Himalayan range including Langtang range, Ganesh Himal, Dorje Lakpa, Jugal Himal, Gauri Shangkar and Mount Everest with glorious sunrise in the morning. You will start a gentle walk, after taking breakfast in the morning from your hotel. On this day, you will descent down through the lush pine forest and enjoying the landscapes including the mountain views, small settlement village, paddy field, which offers you some knowledge about the village people and their lifestyle, culture and traditions. After walking five to six hour will you reach to Dhulikhel town (1440m), it is lies in 30 km away from the east of Kathmandu valley. This an old and ancient town provides you traditional atmosphere along with spectacular vistas of the Himalayan peaks such as Langtang, Gaurishangkar, Jugal Himal, Dorje Lakpa and many more. Overnight at hotel. Day 03Dhulikhel to Balthali Village (1730m) via Namo Buddha (1982m) We hike up to the Namo Buddha (1982m), situated on hilltop above Panauti urban. It takes around three hours to reach Namo Buddha from the Dhulukhel. There is an amazing myth related to the lord Buddha. Which is remembered by an ancient stone block and a stupa with the eagle-eyed of Lord Buddha. After sightseeing in the Namo Buddha, you will walk additional three hours and reach the delightful Balthali village, presenting superb mountain vistas at an elevation of 1730m. There is not full modern amenities of western style attached bathrooms and toilets but will you get hot and cold shower and typical tasty traditional Nepalese organic cuisine is served by Balthali village resort. 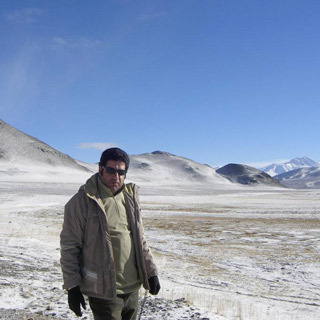 You will get pure Nepali hospitality, friendly people and villager’s culture and traditions during the tour. Overnight at Balthali village resort. Day 04Full Day Balthali Village Tour Today is most important and awesome day for you, this day brings you lot of excellent sense in front you. One this day, you will visit a typical village of Dada Gaun, surrounding by Buddhist community. It is quite traditional and isolated from the present world. 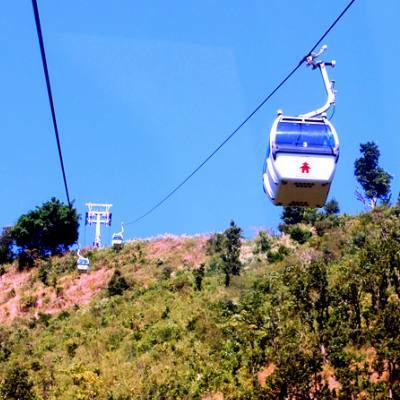 You will move up to Pada Gaun (2100m), from there one can see extremely best views of the all Himalayan range in the north and attractive green forest of Mahabharat rande as well as paddy fields. After spending some time in there, you will walk towards Karnali, called hamlet of nature and the trail goes to the bank of the Ladku River return back to the Balthali village resort. Overnight at Balthali village resort. Day 05Balthali village to Kathmandu via Panauti (1400m) Today, you walk down to the beautiful and old Newari village of Panauti. It is lies between the Roshi and Punyamata streams. It procedures the outline of a triangle through a schemer (Naga) ideal upright at all of its three corners to defend from floods. During the day, you can get huge opportunity to see beautiful old houses, temples and fourteenth century wooden temple crosspieces. Around six hour on foot walking, you will drive back to Kathmandu. Overnight at hotel. Day 06Kathmandu Heritage Tour One this day, after breakfast in the morning we begin world heritage sites tour in Kathmandu.Kathmandu durbar square is very rich to culture and historical monuments and it’s the capital of Nepal, is named after medieval pagoda Kasthamandap- meaning of Wooden house. Where one is can visit ancient palace, the medieval kings who ruled over the Kathmandu Kingdom, the house of Kumari (living goddess), Hanuman Dhoka and many other fascinating temples and bazaars in the area. The Pashupatinath temple is a sacred the lingam and phallic symbol of Lord Shiva. The Aryaghat together with Pashupatinath and the banks of the Bagmati River is very famous funeral site for the Hindus. The Buddhist shrine of Boudhanath is one of the largest stupa in the world, and it is also the holiest Buddhist pilgrims. The Buddhanath is very famous, where are you can see 50 Tibetan monasteries and it is the best tourist destination in Kathmandu. Move on to Swayambhunath, which is regarded as one of the oldest stupa in the world. It is said to be more than 2000 years old. The stupa is also known as monkey temple, because of the monkey living around the stupa. Overnight at hotel. Day 07Final departure This is the last day of your package. You will be backed with your last moment preparation and dropped at Tribhuvan International Airport (TIA), Kathmandu from where you will departure the flight to your next destination. Hope to see soon and Have a Nice Journey.